I'm a head cover kind of guy. Freely admit to owning enough hats to wear a different one each day for at least a month, though those are day to day hats. I own others that are purpose built for different activities and seasons. 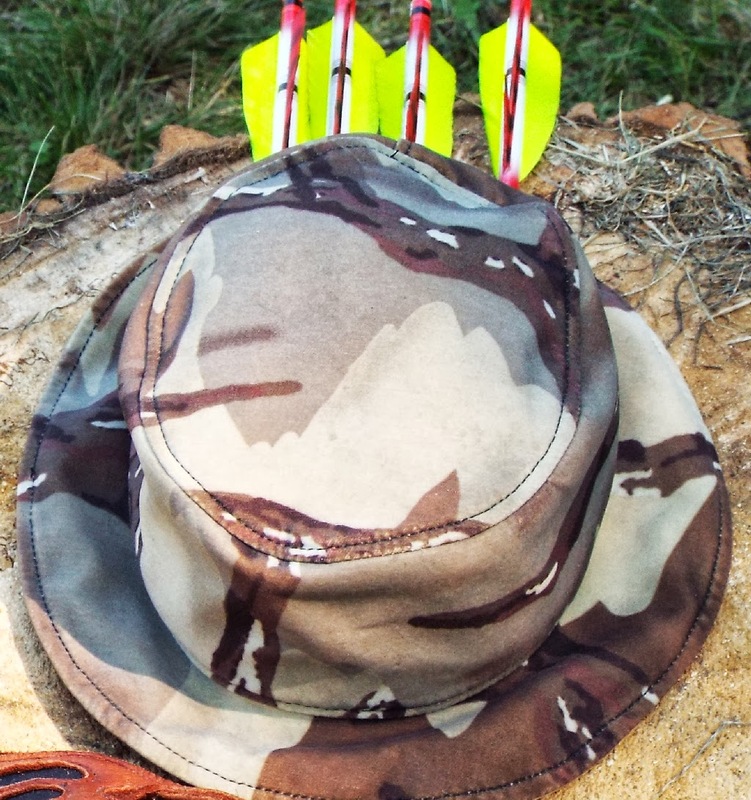 Stormy Kromer for working in cool weather, fur bombers for deep winter head preservation, wide brimmed for sun and rain protection, and then there's bowhunting. A hat beyond a ball cap is a personal thing, I tend to think of them like faces, each unique, each with its own personality and quirks. They also tend to take on the characteristics of the wearer, and they tend to become imbued with memories and luck, or lack there of. A traditional bowhunter, at least this one, tends to have a lucky hat or two, they get that way via memories made while wearing it. I fully realize this is a sentimental and somewhat superstitious thing with absolutely no basis in fact. Right. Well, I know I have a couple hats that when I wear them in the backwoods I tend to see things beyond the average. 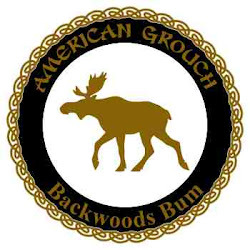 Could be more game, could be finding stashes of chaga, could be finding that confluence of deer trails that I'd never found before, or even some lucky stumping action. Stump shooting is one of my favorite past times and it's really very simple. 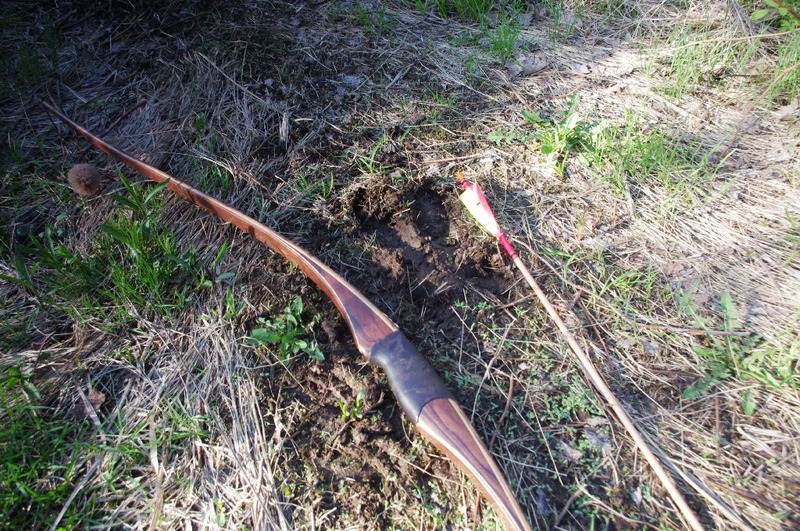 You course the back woods with bow in hand, sending arrow after arrow at whatever likely target that will hone your skill and make arrow recovery a given, it gets me covering ground and enjoying fresh air. 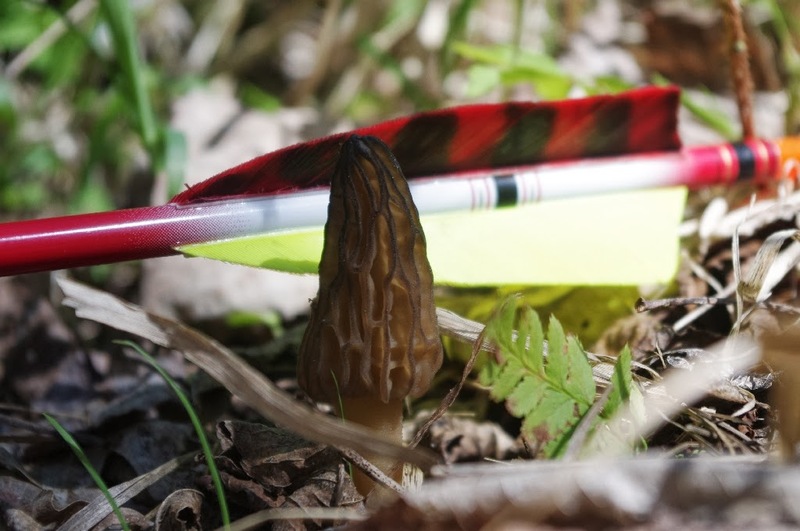 Not to mention it is an excellent way to scout for sign, the moose track as seen below and the morel below that were both found while stumpin. A couple months ago I picked up a BisonGear boonie hat in bucksuede, predator camo which is the same as my packs. Now I'm a boonie hat kind of guy and while this hat is called a boonie hat I think that's a little bit of a misnomer. 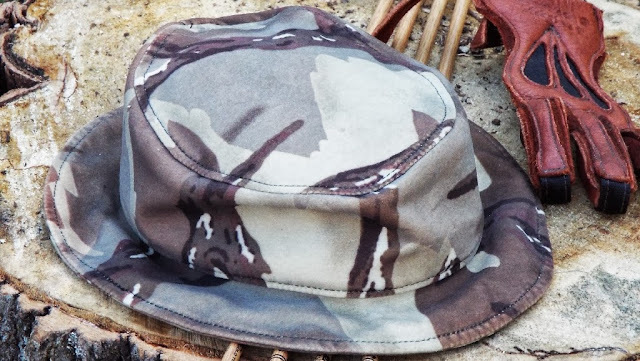 A boonie hat in my classical definition has a wider brim, more militaristic in appearance, has a chin strap, vent holes, vegetation band, and saw heavy use in south east Asia, guess I am getting off track again. 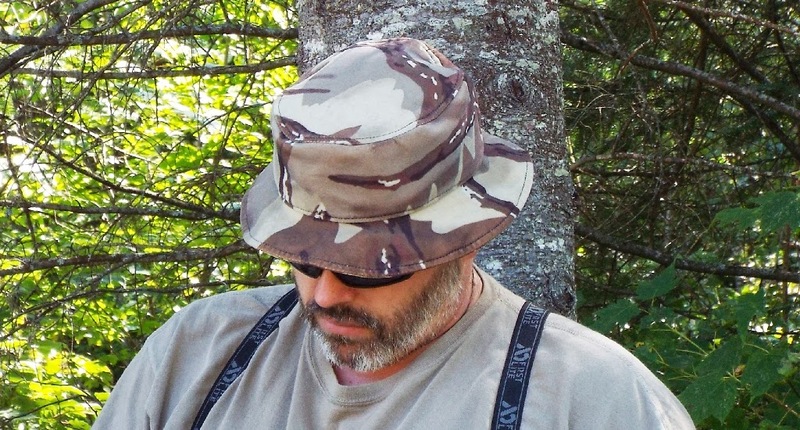 Suffice it to say that this BG Boonie is more of a brimmed bucket hat. Nonetheless let me tell ya the good stuff cause this hat has it in spades. 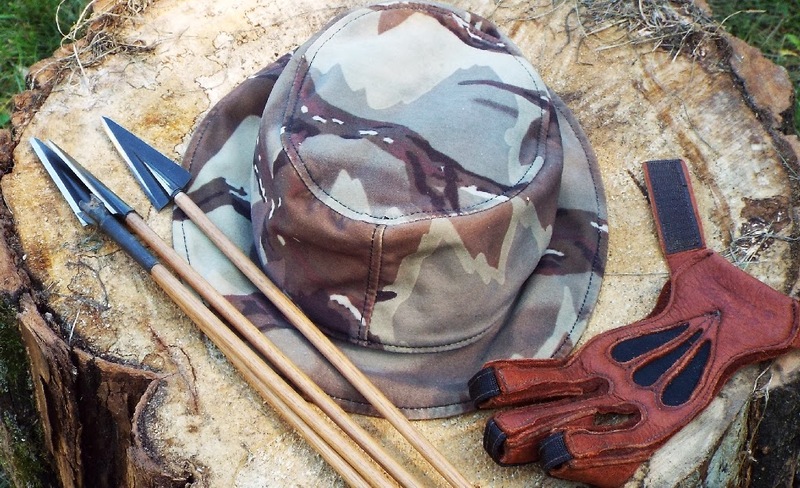 BisonGear offers the hat in the following materials. The hat has a 2" wide brim, and is 3.75" tall with a pocket in the lid, it's soft all around so there is no noise and the brim collapses easily when drawing the string back to anchor. 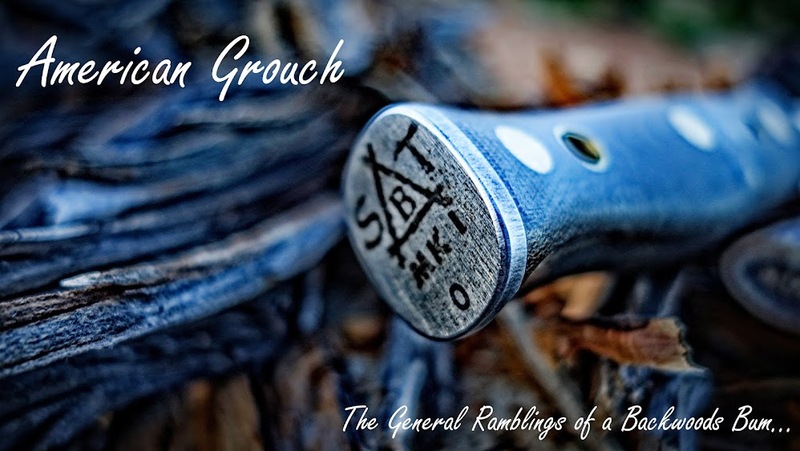 When I first got mine I stuffed a head net in the pocket and carried it there until I needed to deploy it to defeat the screaming hordes of buzzing mosquito, now as my temperatures are already starting to drop, I've got a kuiu beanie in the pocket. The stitching looks to be bombproof and well executed, I'm pretty sure this thing would last a lifetime. 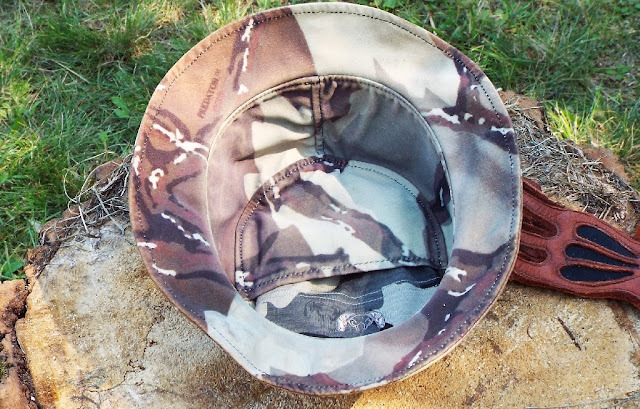 The brim at two inches is just about perfect for a bowman. When I draw the string does contact the brim but it is so soft if folds easily and it isn't long enough to droop down into my line of sight like a wider brim might do. So back to the stump shooting conversation. I know I shouldn't attribute better shooting to a new hat, all I am saying is I've been even more 'on' when it comes to accuracy, I think it's related to feel and confidence, and that's all I'm going to speculate. This one as I said is in bucksuede, I'm going to try one of the hemp versions soon. I like the bucksuede but it's hydrophobic which is great from a rain perspective, from a sweating perspective not so much. Instead of absorbing sweat from my brow it tends to trickle down my face. I took to wearing a bandanna under the hat and thus the problem was solved, and it kept me cooler too. What more can a man say about a bucket hat? Only that I think I found a damn fine one, top shelf quality, like everything else BisonGear makes. Great to see how you can write about such a basic thing as a hat..... and more! That's why I really like my widebrimmed woolfelt hat. Thanks Ron, appreciate the compliment. Ordered from Bison Gear almost 4 weeks ago..no delivery for my hunt...disapointed. Looks like a nice hat to me. That's quite a nice bow as well! I'm more of a crossbow man myself, but I can appreciate a good longbow when I see one.